For the past couple of weeks in Romania, there has been a real “political” Brownian movement within the spheres of actions of all its involved actors, either political leaders or citizens. EP Elections - What does it mean for YOUTH? 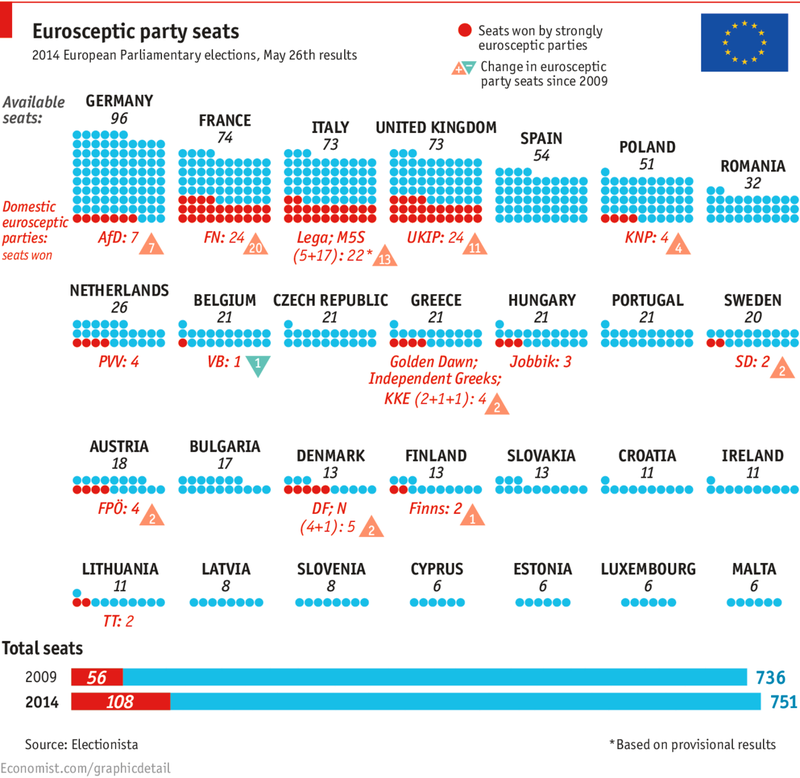 For the first time in history, the European Parliament decided upon the leading EU executive in a democratic vote. Where do you find eurosceptic politicians? If the recent elections for the European Parliament are anything to go by, a strong eurosceptic wave is currently sweeping across the continent. Is Juncker the best hope for Europe? Can the Eurosceptics be a disruptive force? Have a clear look at the German EP election options. We wish Ukrainians makes the best choice today!